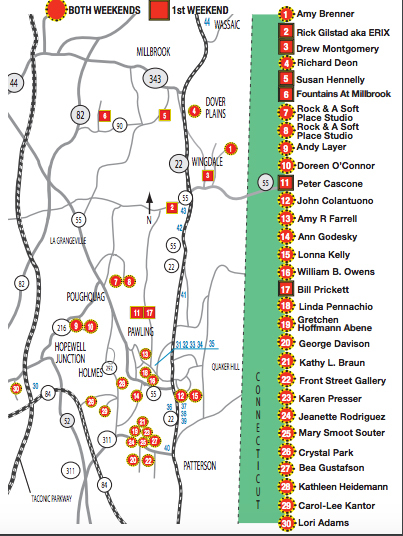 This coming weekend marks ArtEast’s Tenth Open Studio Tour in New York’s Hudson Valley’s Dutchess County.. There are 40 participants in the towns of Dover Plains, Holmes, Hopewell Junction, Millbrook, Patterson, Pawling, Poughquag and Wingdale. The leaves are turning and you are in for beautiful scenery and interesting experiences as you visit these artists’ studios. Yellow signs make finding these studios and creative workspaces easy. The ArtEast Open Studio Tour begins Saturday, October 15 and continues on Sunday, October16 from 11am – 5pm and many of the studios and creative workspaces will be open the following weekend, Saturday and Sunday October 22 and 23 from 11am – 5pm. Explore this local art scene and enjoy a self-guided, driving tour of artist studios and work spaces. The Tour is organized and run by artist participants and gives visitors a relaxed and intimate behind the scenes peek at where, how and why these artists create their work. The very easy to navigate website (www.arteastdutchess.com) includes a printable map, descriptions of each artist and breakdown of artist by location. The studio tours which are popular in many areas with concentrations of artists is an excellent way to see a lot of work, purchase work for yourselves and gifts for others and meet interesting Creatives,. Buying art has a ripple effect as it supports the artist, the arts community and the creativity in all of us. Woodstock Invitational Monoprint Exhibition. The Graphics Workshop at the school has been recently renovated at WSA and was the impetus for this inaugural Woodstock Monoprint Invitational Exhibition. Printmaking Instructor Kate McGloughlin gathered a cadre of well and lesser known Hudson Valley artists, all working in the spontaneous and exciting medium of monoprint, to work in the new studios with Master Printers Anthony Kirk, Lisa Mackie, and Kathy Caraccio. Participating artists each created a suite of prints, one of which will be donated from each artist to benefit The Woodstock School of Art Building Fund and comprise the Woodstock Invitational Monoprint. The Woodstock School of Art (www.woodstockschoolofart.org) is a non-profit organization, started by Woodstock artists in 1968, that took over the complex of massive bluestone and timber studios built by the Federal Government as a crafts training center before World War I and in 1906 became the summer school for the Art Students League of New York. 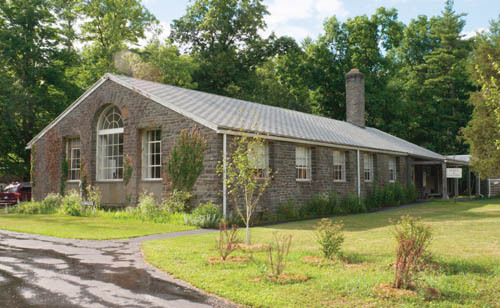 From the very beginning the school was a magnet for working and beginning artists that were drawn to the idyllic mountains, meadows, woods, and streams of the Woodstock region. Today, classes and workshops, held year-round in fully climate controlled studios, are open to all with no entrance requirements or experience necessary and include instruction by fine artists/instructors in drawing, painting, printmaking and sculpture. The exhibit will be held at the Robert H. Angeloch Gallery at the Woodstock School of Art from October 15 to December 17, 2016. Among the legendary artists participating in the benefit exhibition are Milton and Shirley Glaser, Mary Frank, Richard Segalman, Mariella Bisson, Donald Elder, Julio Valdez and several other noted artists affiliated with the not-for-profit school. 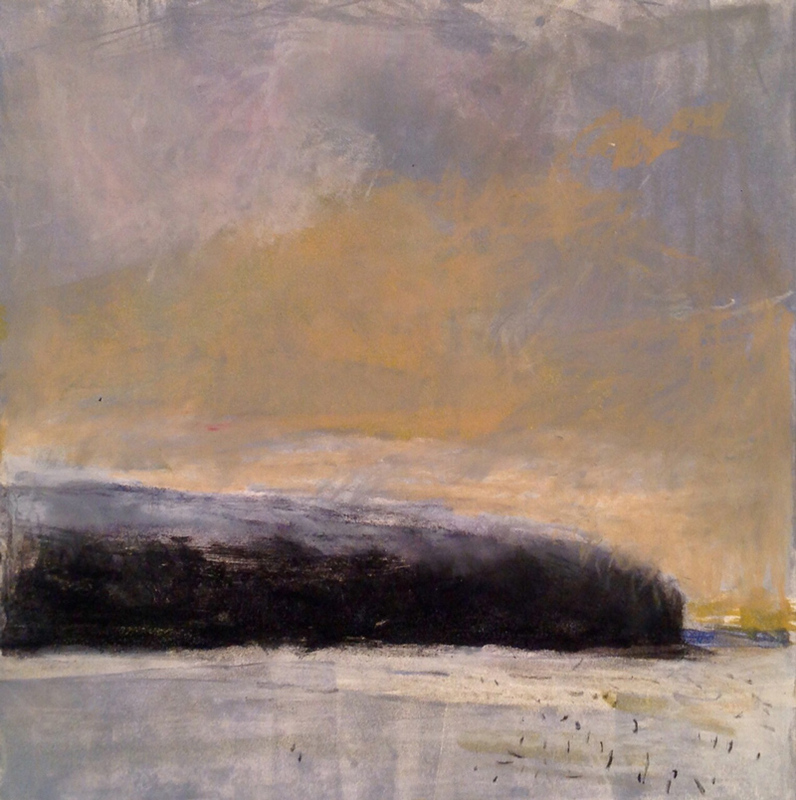 Kate McGloughlin is a very popular instructor and her upcoming workshop Works on Paper begins October 27 and runs each Thursdays from 9am-4pm through November 17th. 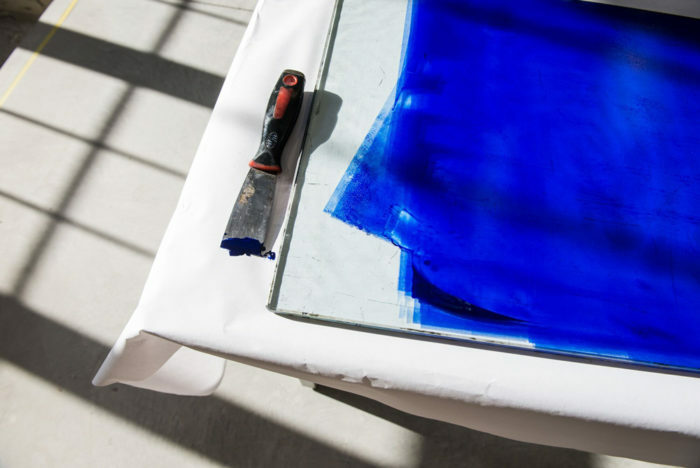 Using basic monotype techniques as a springboard, this workshop will explore the world of visual possibilities available to artists using both wet and dry media to create rich, highly developed works of art. Call or email the WSA to see if there is any room available and to sign up to get their schedule. Sounds wonderful! I can’t make it this year, but will look for it next!